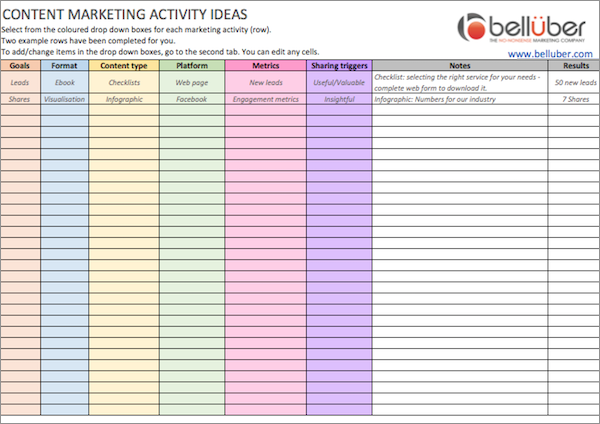 Use this simple spreadsheet template to easily create a list of all your content marketing activities using ideas we’ve provided. Format – e.g. videos, social, article, etc. Content type – e.g. survey, competition, review, etc. Platform – e.g. Facebook, website, blog, etc. Sharing triggers – what would make people want to share it? E.g. funny, useful, moving, etc.